Report reaching DAILY POST news desk from Benue State has it that four policemen have been kidnapped and a security van burnt after suspected Fulani herdsmen ambushed them in Logo LGA of Benue State. The officers were said to be returning from a confidence-building mission in remote villages when suspected herdsmen opened fire on them in Tse Akpam village, near Azege town. Confirming the incident, the State Police Commissioner, Fatai Owoseni their whereabouts remain unknown. He said, “We had had an encounter around Azege when a team of mobile police went on confidence patrol. 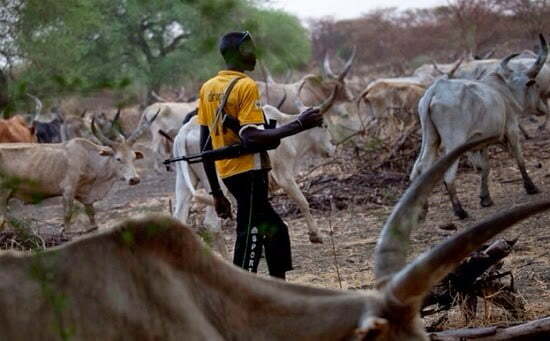 “When they were coming back at a point in Azege, they started hearing gunfire from inside the bush suspected to be from the herdsmen. “There was a serious exchange of gunfire. One of our vehicles was set ablaze. “So far, on their side, we’re still trying to ascertain casualties; while we’re yet to see four of our men”. Also confirming the development to DAILY POST, Ati Tekula, an aide to the state governor, Samuel Ortom, said there is uneasy calm at the moment in Azege village and its environs. The attack came three days after the Nigerian Army declared operation Ayem Akpatuma in the Benue and other states.